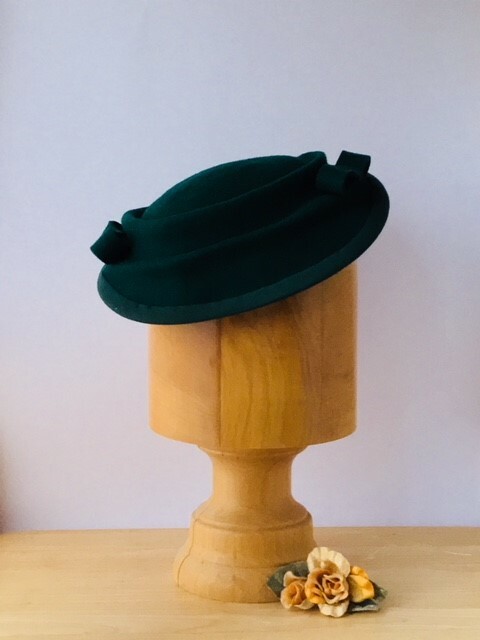 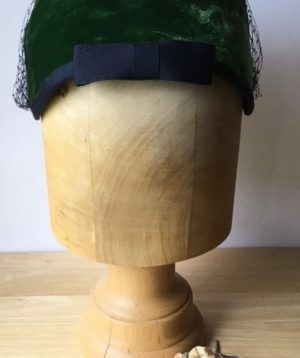 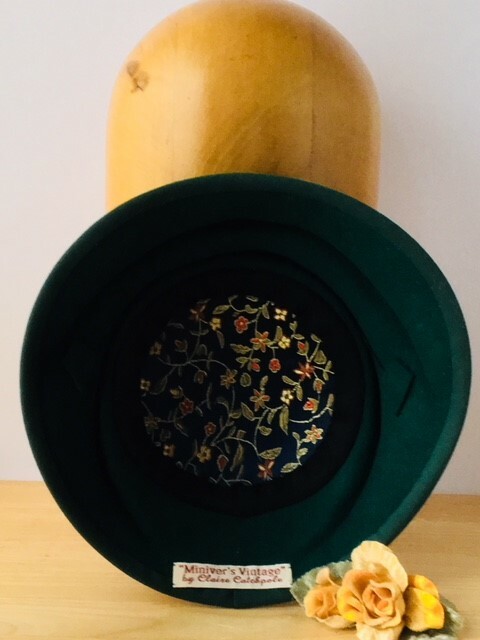 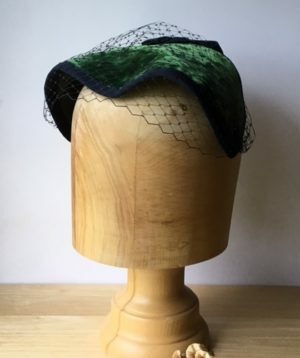 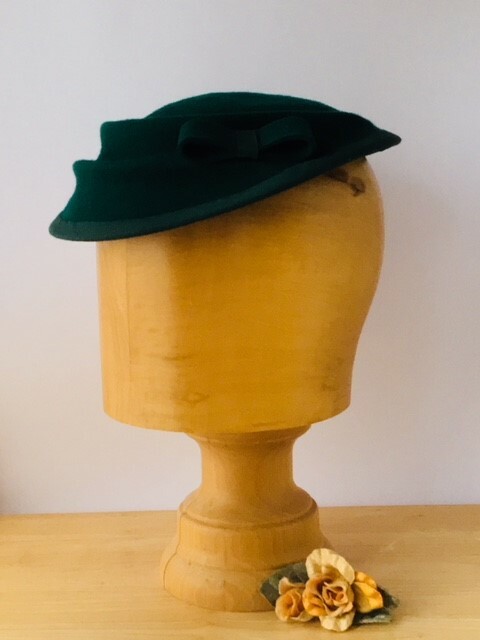 A lovely popular little day hat in deep racing green felt. 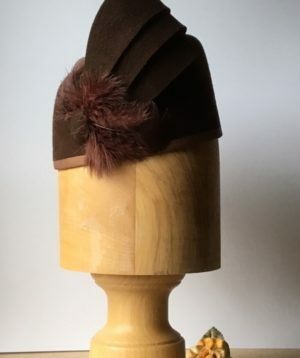 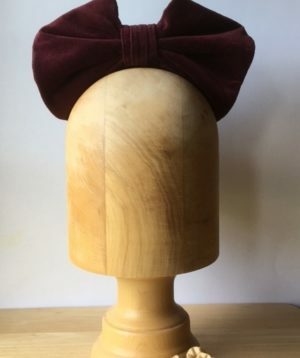 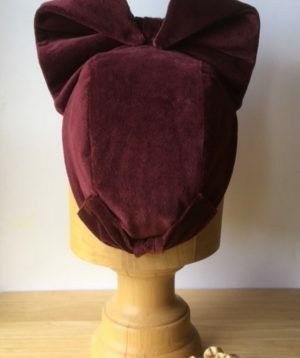 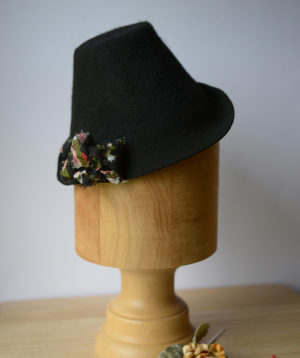 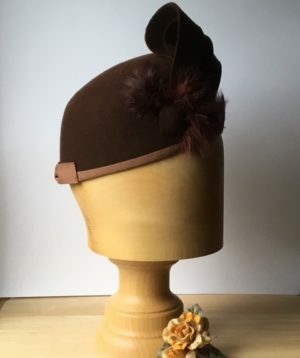 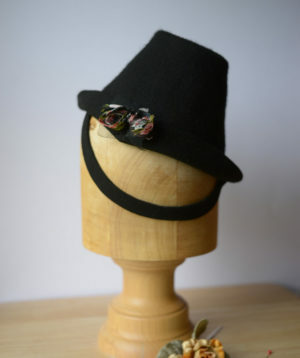 The hat is worn tilted forward over right eye and is finished with two felt matching bows to either side. 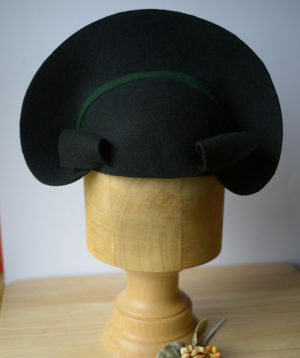 The edge of the hat is wired and covered with a bias binding. 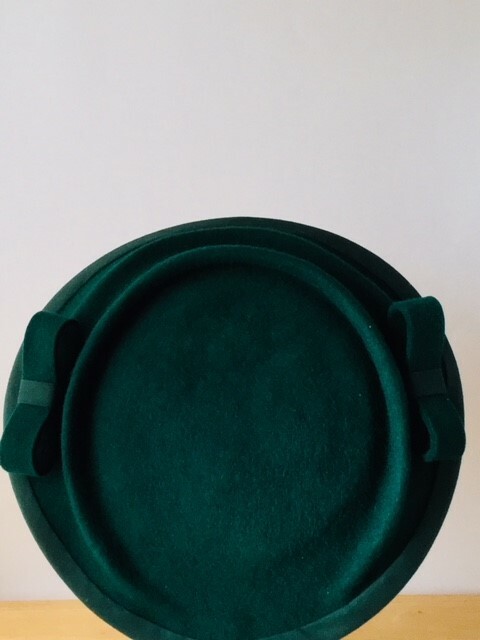 The hat has a buckram skull cap which is lined with Minivers Vintage signature hat lining. 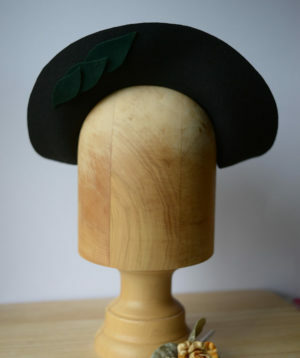 It is secured to the head with hat elastic.